Smooth sides and a simple crown make a Mission statement in our Desert Hills 3-Door China Cabinet. Yours will be handcrafted to last generations. Responsibly harvested domestic hardwood, Walnut inlays, and your custom stain choice join forces to become your Amish-made Desert Hills 3-Door China Cabinet. 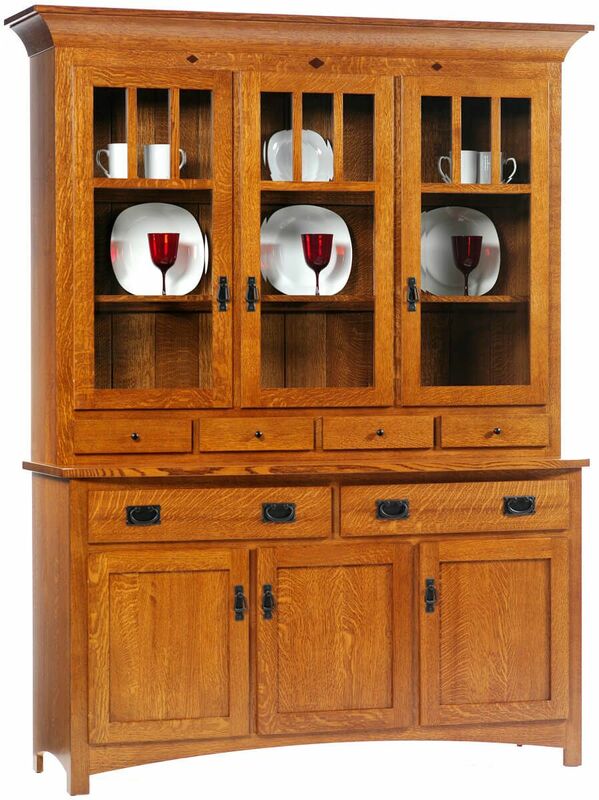 Customize your Mission style china cabinet with our options menus and your display case will be handmade by our Amish furniture making experts. 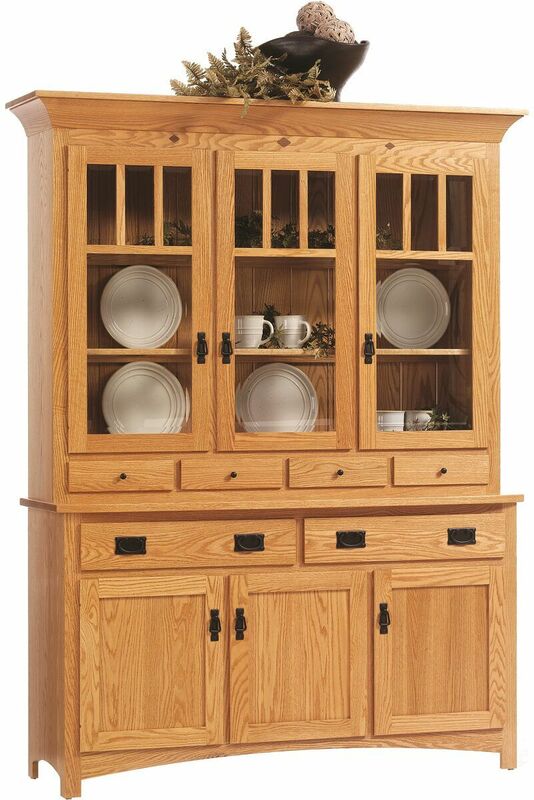 Made-to-order just for you, the Desert Hills 3-Door China Cabinet's standard features included clever concealed door hinges, a recessed lighting display, durable dovetailed drawers with soft close slides, and adjustable buffet shelves.